Kudos to our client Coalfire! 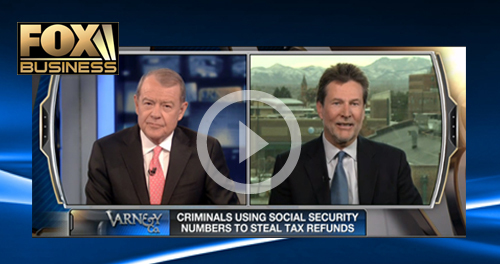 On Tax Day, Coalfire CEO Rick Dakin talked with Fox News’ Stuart Varney about tax fraud. Stuart asked about cases where criminals have used Social Security numbers to file a false tax return and steal refunds. Rick commented that this is part of a “systemic problem in cyber security,” involving both data protection and fraud. Stuart also asked whether consumers should change their passwords in light of the “Heartbleed” security breach. Instead of panicking, Rick said the right thing for consumers to do is to follow the security warnings on websites, particularly those requesting personal information.